A Democrat in a whorehouse with somebody else's credit card (that expires tomorrow). Expect the attacks on the Trump Administration to reach to a more shrill and strident level of hysteria. The soaring stock market and investor confidence under President Trump has created $6 TRILLION in value. The Democrat Party is up against a wall and they are desperate to find a way to blunt this success. If the sly, corrupt, nasty, elite media reported this fairly, it would be the end of everything for the Party of Barack and Hillary. 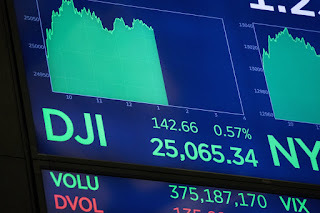 There are sour and cautious people who predict a 20% drop in stock prices across the board, but with $3+ trillion overseas coming back into the US economy after the tax cut and with more money being put in the hands of average Americans (most of whom don't know how to save anything) means that there will be more money invested and spent on Main Street. Democrat leadership feel as though Karl Marx, Mephistopheles, and all of the icons that they've venerated for so long has abandoned them. I have been approached by two law firms in San Diego (Sandy Eggo) California to help defend the marijuana sellers (many of which are funded by Mexican drug cartels) against the Trump DOJ, which may be turned loose against the Sanctuary State and it's most cherished institutions. Now that recreational marijuana is legal in California, they'd hoped to make a windfall. Naturally, I find it amusing. More amusing still is my personal opposition to the legalization of marijuana. You may agree with me or disagree, who cares? My approach is a systemic one. They people I know who use a lot of marijuana are generally unproductive members of society. I don't see that it does any good (with the rare exception of anti-nausea meds) and it seems to create FAR more problems than it solves. Saving drug cartels from the wrath of DOJ in a sanctuary state isn't what I do - even if I could do it. Selling marijuana may be legal in California but it's a federal felony and a conviction would land you in federal prison, inability to ever receive a security clearance, etc. 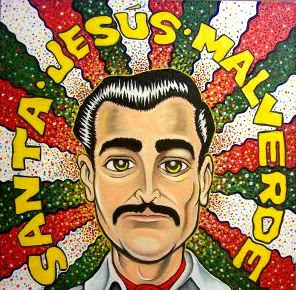 Some of those who hoped to cash in on the marijuana craze that would come with Californian legalization are praying hard to the statues of Jesus Malverde at various domestic and public shrines. Since this is a Sunday Sermonette, I try to cover some aspect of religious life - in this case, Mexican-Americans praying to a statue of Jesus Malverde that is made in China. There was an occasion some years ago when I was working in Mexico where a friend from the US wanted a Jesus Malverde t-shirt. 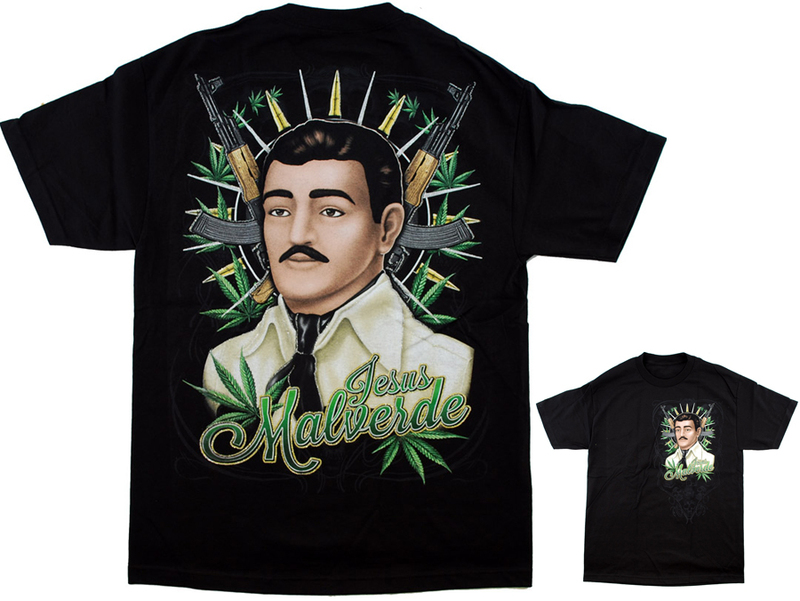 I scoured the public markets and flea markets in Guadalajara for Jesus Malverde paraphernalia. They were not to be had. T-shirt sellers directed me to the US. Most of the Jesus Malverde statues that you find in drug dealer homes are made in China. Such is the nature of commerce. Now that self-serve gasoline is an option in Oregon is an option, many residents are melting down at the thought that there might come a time when they would be called on to fill a gas tank. I've heard that the mere threat keeps them in Oregon. Learning Sunday has a primer for those of you who fear the pump. Since it's Sunday, I thought this would be appropriate. Portland is the feminist capital of the nation. Men are encouraged to leave.